Susan Manning, the founder of Shekinah Eco Village saw first hand as a real estate broker for nearly 25 years how much waste was created building homes, how shoddily built, even the most luxurious homes really were when it came to saving energy, and determined to do something about it. After many years of designing homes, researching new building methods and much trial and error, Shekinah Eco-Village was created. 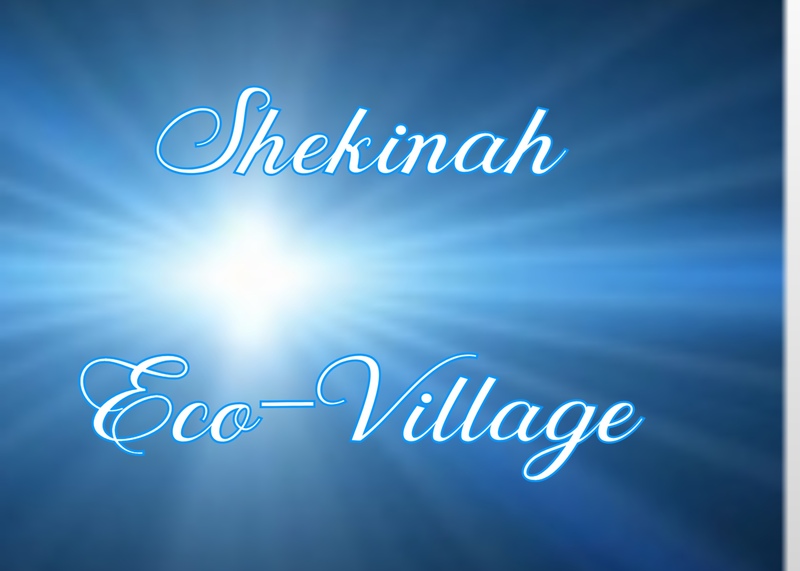 Shekinah Eco-Village is a net-zero highly sustainable, green, off–the-grid community. Most eco-villages look like a throwback to the 60's love child movement. Susan had a brighter vision. Eighteen homes will be nestled together with a common house on ten acres including four greenhouses providing all the electricity and heat each needs. Susan is all about sustainability, yet it will look like a modern, beautiful neighborhood with lush gardens, sparkling water and benches to enjoy it all that anyone would desire to live in. Privacy is valued in each private dwelling, yet the opportunities exist for a close-knit neighborhood. You choose how much to interact. Shekinah Eco-Village is based on personal freedom coupled with a collective wisdom that can only be had by active listening. We co-operate on many levels and work hard to minimize conflict, but are courageous enough to face it and work through it. Our community is beautiful inside and out. We intend a close-knit community through shared meals, gardens and work projects. Everything we do, we do with seven generations in mind: how will this impact them? The common center includes a commercial kitchen, dining area, library/music room, meditation room, rooms for guests, massage room, craft room, and exercise area. Working together we can be free of so much: utility bills, high food costs, loneliness, ill health, and stress. With such an expansive common center, homes can comfortably have smaller footprints and still live large. The ideal atmosphere is manifestation of the divine presence (the definition of the term Shekinah) and for our community it means whatever you deem "divine" to be, involving respect for the land, for one another and peace, joy, contentment and brotherly kindness. While it seems isolated, it is actually only three miles from shopping, a college, library, medical facilities and churches.